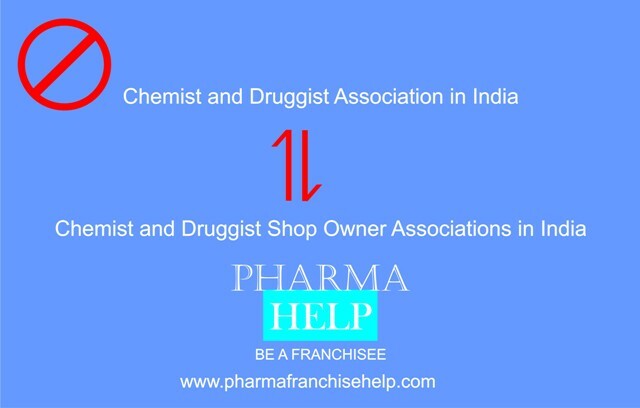 Chemist and Druggist Associations name should be Chemist and Druggist Shop Owners Associations in India to whom we refer as Chemist and Druggist Associations. Druggist and Chemist work is related to pharmacist and only pharmacist should be part of it. But in India, Chemist and Druggist association is build by non pharmacist and non professionals who only want to make profit by selling drugs and medicines. They don’t have basic knowledge of pharmacy and acts. They even don’t know about ED (Effective Dose), TD (Toxic Dose), LD (Lethal Dose), adverse reactions, interactions and other basic fundamentals because there higher education is not more than secondary education. We grantee 95% of persons associated with Chemist and Druggist association don’t follow drug and cosmetic act properly. Association purpose is only to pressurized government to make laws that only commercialized medicine selling and ignore patient safety aspects. Our question to Drug department is that why they give affiliation to them as Chemist and Druggist Associations even they don’t have pharmacists and there members are non pharma professionals. In their meetings they invite a guest from Drug Department and indirectly pressurize them to agree with their demands which are against our drug and cosmetic act. How can a drug department person attend their meetings while they are not authorized to conduct these types of activities? For running a chemist or druggist shop, a registered pharmacist is mandatory, he is only authorized to run a chemist shop while we are allowing an association whose members don’t have any qualification and on the basis of ownership of firm we are allowing them to make a associations. Either only pharmacist should be member of this association or association should be banned by government for public interest or name should be changed to chemist and druggist shop owner associations. Matter of concern is that if health department try to implement any important schedule, association boycott it due to their own interests. Wither they call for strike or they threaten to stop supply of essential medicines. Recently sources say, there is inadequate supply of essential medicines in India due to price control. Who is responsible for it? Definitely persons who want to earn only profit but don’t have loyalty toward profession. For healthier India, we have change the infrastructure and ground level of pharmaceutical sector. Schedule H1 Implementations: Main purpose of schedule H1 is to prevent self medication of antibiotics and hence prevent general public from severe side effects of antibiotics. But due to allowance of these illiterate people in pharma sector make it difficult to implement Schedule H1. We have also written about it before in our article about Pharmacists. Here we are going to repeat it. Antibiotics are creating more danger than its benefits. There is urgent need to restrict antibiotic therapy specially for children’s but who is main hurdle is druggist and chemist association because they don’t concern about safety, only they don’t want to take tension of maintaining record of antibiotics and prescriptions. If Government makes it strict then they threaten to stop supply of essential medicines and call for strike & shut down of shops which make suffering for patients. Pharmacist Compulsory Seating at Medical Shop: Everyone knows pharmacist compulsory sitting can prevent severe problems like drug’s adverse effects and unnecessary medications etc that are reaching to dangerous level. Medical shops and pharmacy operated by un-qualified is like a clinic operated without a doctor. There are two types of doctors available in India, one is MBBS qualified and other is RMP (Rough Medical Practitioner), also known as Jhola Chap Doctors. Same in case of medical stores and pharmacies, Pharmacies without pharmacist is Jhola Chap Chemist Shops. There were discussions for making compulsory sitting but un-ethical strike & shut down (black mailing) postponed it for some time. India need pharmacist sitting compulsion at urgent basis if want to improve healthcare system. Corruption: Pharma sector is one of most corrupted profession thanks to non professionals in this sector. Corruption starts when loyalty toward profession vanishes. If a person enter into profession to make only money then where will from loyalty come. Non Professionals can’t be loyal to any profession and its ethics. Same is applicable for pharma profession. A businessman will only think about earning money, only a pharmacist can think about a patient and loyalty toward his profession. Our health department motive to boast sale of generic medicines and India is world’s leader in generic medicines manufacturing but at ground level, there is no difference between generic and branded medicines. Generic medicines are same in all aspects like potency, strength, quality and result etc as branded medicines but generic medicines are hundred times cheaper than branded medicines but a chemist don’t tell the difference to you. Even he sells a generic medicine at higher rates (many times expensive as compare to its cost) for making extra money. This is indirect corruption. A pharmacist can only guide a patient at proper way and helpful in removing corruption from pharma sector due to its loyalty and attachment toward profession. Drug Resistance: Drug resistance is not a new word. It is one of the most discussed subjects in pharma discussions. But does anyone try to find out why this problem is increasing in India? This is due to the person who is dispensing a medicine to patient. Our chemist and druggist know only about drug’s brand names and molecule present in it. They don’t know what a medicine can do to our body if not used in regulate and prescribed manner. They can’t provide consultancy for patient’s wellness. Drug resistance is also boasted by self medication which is fueled by these druggists and chemists. If anyone feels headache they will give him any pain relief tablet irrespective of headache reason. This boasts self medication custom. Other than mentioned above there is so many points which makes clear role of non professionals in damaging health and safety of patients. Pharmacist has to join hands to make it better and healthier India by eliminating Jhola Chap Chemists from India. Lets join our initiative and share it to all pharmacist till drug department take any further action.